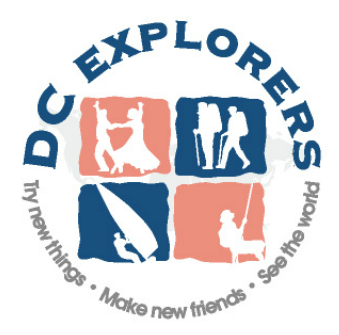 DC Explorers coordinates local cultural, community & recreational events, as well as domestic & international travel adventures. Join our social events from wine tastings, embassy dinners and museum exhibits, to hiking, paintball, and salsa lessons. Or, opt for an international cultural and learning journey that might also include hiking, biking, sailing or kayaking excursions, cultural tours, relaxation and wellness retreats or cruises and much more. The DC Explorers meetup group is setting out for Egypt in April 2016. This is not your grandma's tour of Egypt either! We're going to take a camel ride around the pyramids, a hot air balloon ride over the Valley of the Kings, and go glamping on the Nile in a traditional Egyptian wooden sail boat. And, as you would expect from the DC Explorers in addition to seeing the once in a lifetime sites, we're going to keep it real. We will visit local communities and community centers, dine with local families and work to get a glimpse into the modern culture. Join our email list to receive periodic updates on our exciting events. We will randomly select email list members each quarter to receive fun prizes including Redskins Tickets, gift certificates, theatre tickets, tee shirts and more.